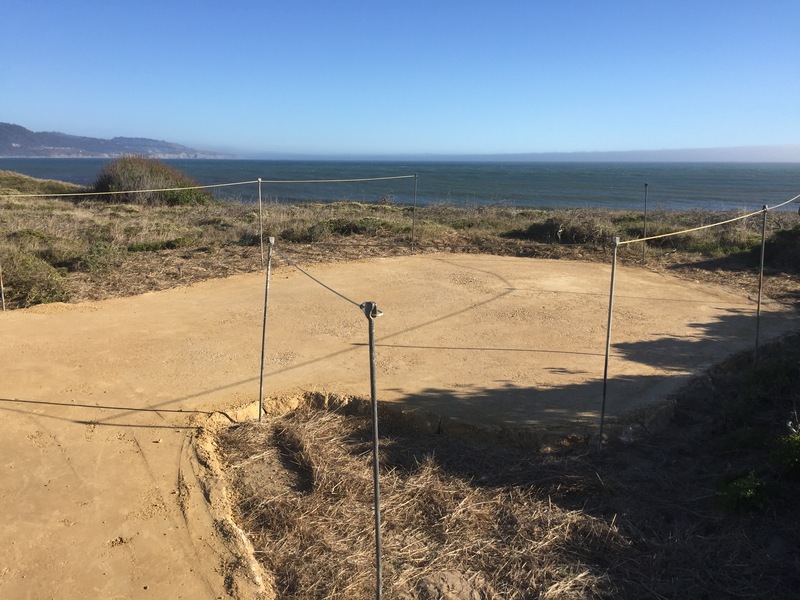 The trails at Año Nuevo State Park, from the Visitor Center and Parking lot to the viewing points, have been undergoing a multi-year upgrade to improve accessibility for everyone. 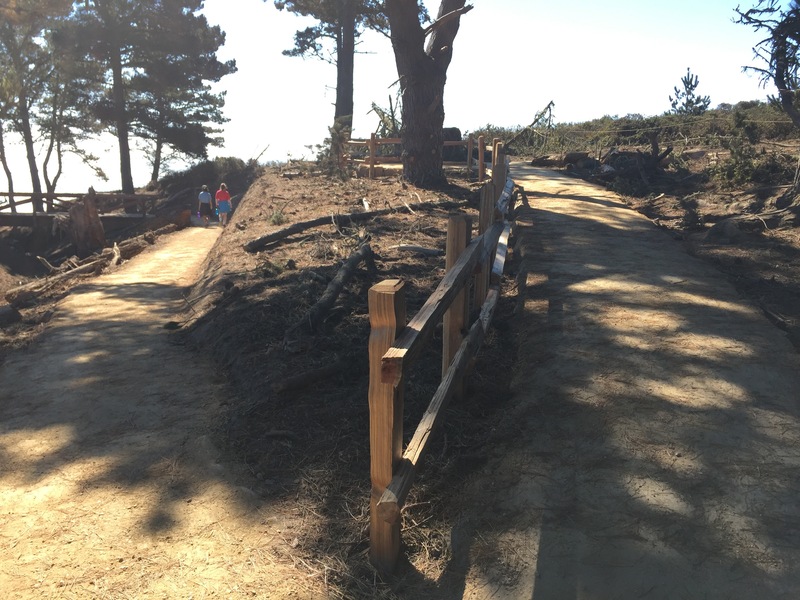 New trail at Año Nuevo State Park. The project has been designed and supervised by State Parks and is being constructed by the California Conservation Corp. The result will be a trail which is ADA compliant from the parking lot to the dunes. This past summer the crew installed a bridge and created a switch-back trail to ease the slope that was located just west of the pond. Other sections have been enhanced with drainage to prevent flooding during the wet winters. Work will continue when the picnic area located near the Park Store will be renovated to make the area level and will connect with the start of the new trail. However, the trail ends at the “Island Overlook,” which is the start of the boardwalk that continues towards the Life Cycle Sign. This boardwalk, built many years ago, has had thousands of feet walk on it. Now, sitting on the sand, it is showing the result of those years. And when the winter is wet, as it has been, water accumulates deteriorating the foundations even further. 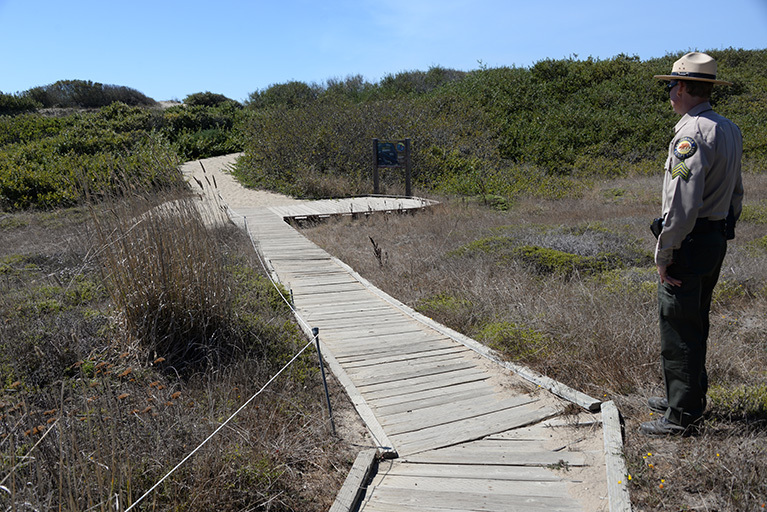 A plan is in place to rebuild the boardwalk in 2016, using volunteer labor and a system similar to that used in the construction of the Equal Access Boardwalk built in 2013. The new path will be wider than the existing boardwalk because this is often a point of overlap for two guided walks during the breeding season.